Position Information/Description: To perform construction, maintenance and repairs of buildings, fixtures, structures, train, carousel and equipment in private, public and animal populated areas of the Little Rock Zoo. Essential Job Functions: Performs skilled carpentry, and other semiskilled labor in constructing, repairing and maintaining Zoo buildings, fixtures, structures, train, carousel and equipment in private, public and animal populated areas of the Little Rock Zoo; prepares surfaces and applies paint, cleaning fluids, varnish and other protective materials as needed. Performs building, structure, grounds, cage or animal enclosure repairs and maintenance in exotic-animal populated areas utilizing cutting torch, and hand and power tools as needed. Operates hand and power tools for cutting and removing trees, trimming shrubs, cleaning sidewalks and removing debris from moats as directed. Checks oil and other fluids before operating equipment. Operates light and medium duty trucks to move equipment, materials and debris. Operates hand tools, power tools and light earth moving equipment, such as trencher or backhoe, to dig trenches, structure and walkway foundations, and drainage systems. Builds forms for concrete work; operates cement mixer to prepare concrete; finishes concrete surfaces. Provides working supervision to part-time employees. Sets up tables, chairs, and related activities for Zoo special events. Operates a City pool automobile in the performance of essential job functions. These knowledge, skills, and abilities are usually, although not always, acquired through completion of one (1) year of experience in construction work of a semi-skilled nature, one (1) year of lead worker experience. Equivalent combinations of education and experience will be considered. 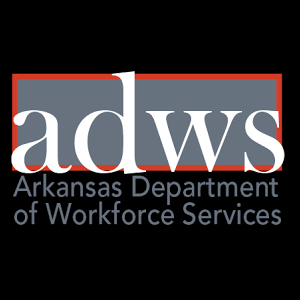 Must possess or be able to obtain a valid Arkansas Class "D" vehicle operator's license before employment and maintain licensure for the duration of employment in this position. Must be available to respond to emergency calls outside of normal working hours, including nights, weekends, and holidays as required.